WARDJet is excited to announce sponsorship of pro-snowboarder Steven "Speedy Steve" MacCutcheon for the 2015-16 winter sports season. "I am excited for the 2015-2016 season to begin, with the first competition approaching on the 12th of December in Steamboat Springs, Colorado! 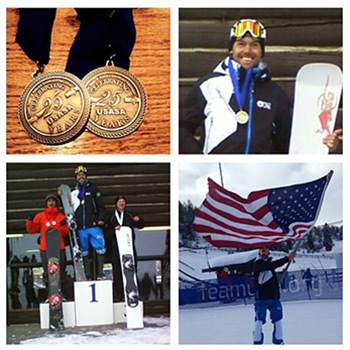 The competition is a USASA Open Class race that will host many talented racers from all over the world, as they are around Colorado training for their seasons in their home countries. I won the event 2 seasons ago, topping the podium above top racers from South Korea and Canada, and look forward to similar success this year. I am training hard and ready to compete!" Keep up with all of Steve's progress in practice, competition scores, season updates and by visiting WARDJet's Speedy Steve webpage.